If you have questions or comments for one of our departments, we would like to hear from you today. We encourage communication with everyone, as it is the start of building a relationship with each of our customers for years to come. We want to earn your loyalty and trust, and we do this first by being open to all questions, so we can help you with either your car buying process, service needs, or ordering any parts. We put your needs first, so let us assist you in any way possible by contacting us today. You can send us an email through the short form below, or you may call the department you need directly from one of the numbers listed here. 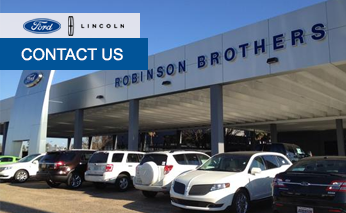 Everyone here at Robinson Brothers Ford is here to give you the best service possible. We look forward to hearing from you.